The Coca-Cola Company’s “Share a Coke” campaign from a couple of years back was a brilliant bit of marketing. For those not familiar, Coca-Cola replaced its iconic logo on soda bottles and cans with a smattering of America’s most popular names, spurring consumers to not only buy sodas featuring their own names but share their finds with friends and family as well. With that win under its belt, the Atlanta-based beverage corporation’s next big idea may very well involve technology. 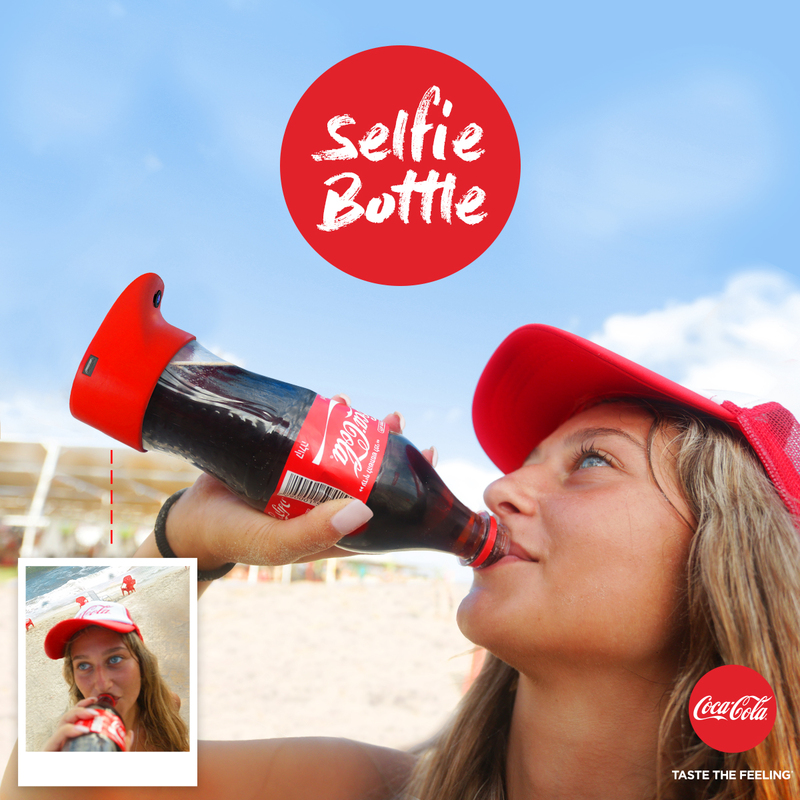 An ad agency from Israel recently created the Coca-Cola Selfie Bottle – quite literally, a soda bottle that snaps a selfie each time a person takes a sip. The plastic accessory attaches to the bottom of the coke bottle and whenever it is tilted more than 70 degrees, it captures a photo and automatically uploads it to the social media accounts of the user as well as the brand. The selfie campaign was created for the Coca-Cola Summer Love outdoor event and was apparently a hit. Whether or not the Gefen Team ad agency or Coca-Cola has plans to expand the promotion to other events or regions is unknown at this time. On the surface, it seems like a silly idea. Then again, I also thought selfie sticks were a dumb idea so maybe I’m just out of touch with the latest trends. Regardless, social media is playing an increasingly important role in marketing strategies for major companies so who knows, maybe something like this is just crazy enough to work.